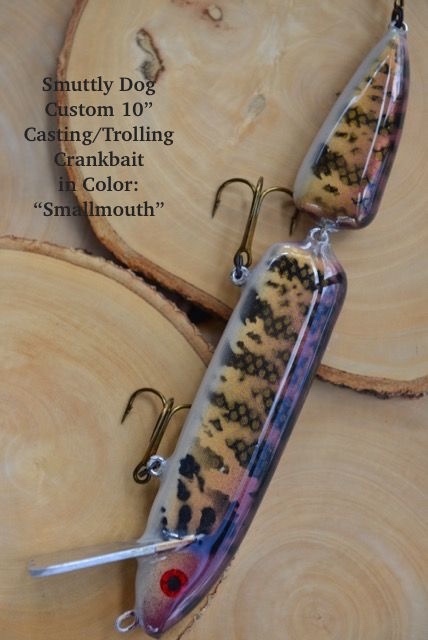 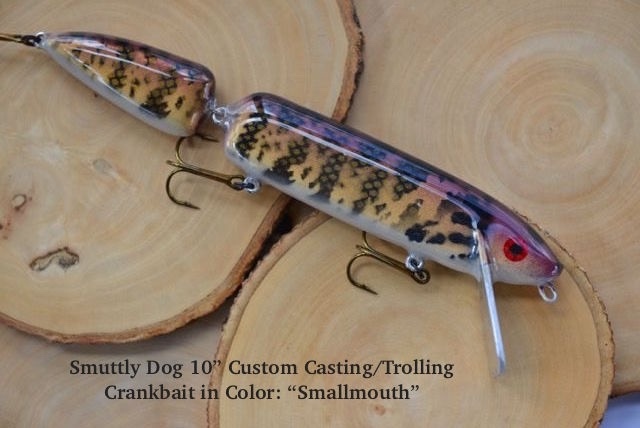 You are bidding on a Mark Smith, Smuttly Dog custom built 10" Jointed Trolling/Casting Crankbait in Color: "Smallmouth"
This Lure Is Light Enough to Cast, Will Get Down 2-3 Feet on Retrieve, 5-6 Feet On Troll, Great Snake Like Action. 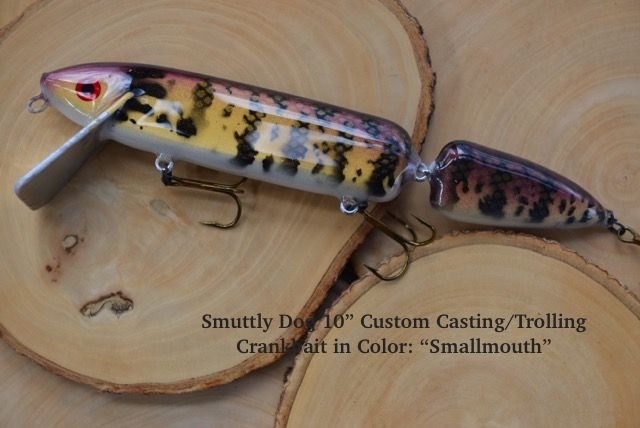 Quality construction, aluminum square lip, western cedar, super hard epoxy finish! 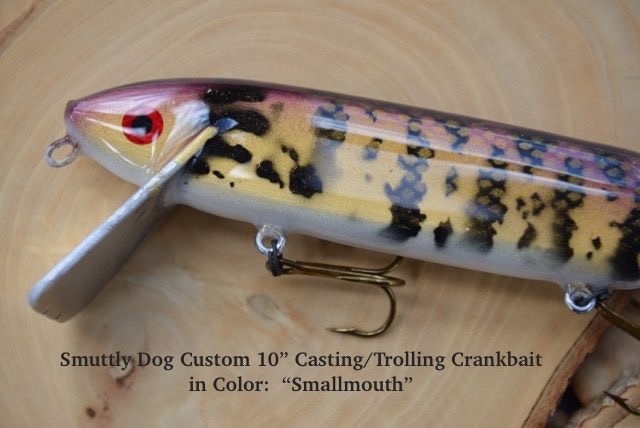 Weight is 4.6oz. 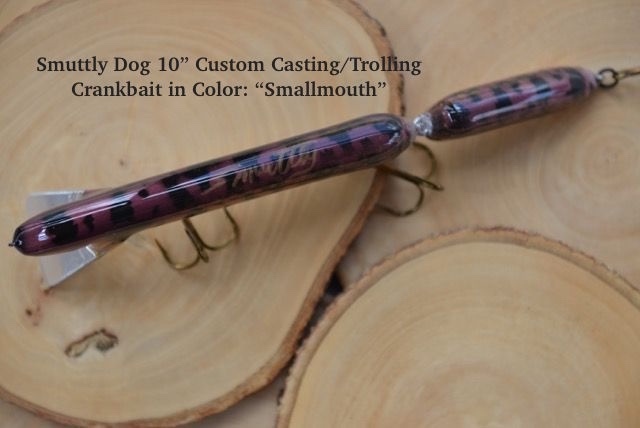 Thank You Mark Smith of Smuttly Dog Custom Lures for this awesome donation!